If you import or export goods from or to outside the EU, you or your agent should now be aware of upcoming changes to the way you make customs declarations. HMRC has begun phasing in the new Customs Declaration Service (CDS) to replace the existing Customs Handling of Import and Export Freight (CHIEF) system. This has started with a small group of businesses who make certain Supplementary Declarations. The number of businesses making declarations to CDS will grow over coming months. 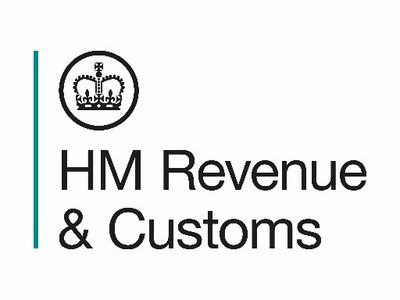 If you haven’t been contacted by HMRC then you are not part of this first group. When you start using CDS will depend on your (or your agent’s) software developer or Community System Provider, and we expect remaining importers will start to move over to CDS early in the new year. Exporters will migrate to CDS when export functionality becomes available in March 2019. This means that CDS and CHIEF will run in parallel for a short period of time, and import declarations will be made in CDS whilst export declarations will continue to be made in CHIEF. From the outset, HMRC has made it a priority that CDS is introduced without impacting imports or exports and CHIEF is being tested to make sure it is capable of managing any increase in the volume of declarations expected when the UK leaves the European Union (EU). Checklist – what do you need to do? Visit Customs Declaration Service to understand how the changes affect your business and what you will need to do to prepare for the introduction of CDS and when. This includes making sure you have a Government Gateway account and an EORI number. A new Trade Tariff will be used for declarations on CDS to comply with the Union Customs Code (UCC) so it is important you take the time to understand how the information you provide as part of your declarations will change. The imports tariff can be found on GOV.UK via the link above. The exports Tariff will be available later in the year. If you use a software provider or agent, you may also want to check they are aware and are preparing for the new CDS. If you use a C88 form or the National Export System to make declarations, please visit the web page above where you can find more information. Why is CHIEF being replaced? HMRC’s existing Customs Handling of Import and Export Freight (CHIEF) system has served the UK well over the last 25 years but it is now old technology and needs to be replaced. CDS provides a flexible declaration system that can handle anticipated future import and export growth. In addition, CDS is compliant with the UCC, EU legislation that aims to bring consistency to customs declarations across the Union. Whilst the United Kingdom will leave the EU from the end of March 2019, the UK Government still plans to comply with this legislation.